Do you need log book servicing for your car? You are not obligated to perform your log book servicing at an expensive dealership. Fineline Automotive, as well as other car service workshops, are fully accredited to perform log book servicing as we follow the manufacturer’s guideline standards in our log book car servicing process. As already mentioned above, your new car warranty will NOT be canceled, and this is confirmed by the А.C.C.C. (Australian Competition & Consumer Commission). Our employees are well trained and specialized and we use high-quality QEM spare parts. As long as your new car is under warranty, it must be maintained and serviced within the manufacturer’s regulated standard intervals, and your car’s service book filled accordingly. The engineers who designed and programmed your new car have defined specific standards to maintain the optimal performance of your vehicle not only to ensure its proper performance for the first 100.000 kilometers but for its entire life span on the road. Every vehicle’s owner manual clearly states what is the minimum amount of service the vehicle requires, at what intervals, and what process & standards need to be followed. 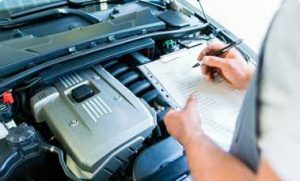 When we perform your log book servicing at Fineline Automotive we always do it in accordance with your vehicle owner manual, with a guarantee on our work & proper report & filling your service book. So, for log book servicing, proper car service & correct service book filling, contact the professionals at Fineline Automotive Services today whether you are in Knoxfield, Scoresby, Rowville, Boronia or nearby suburbs. Call 03 9764 1655.